The most important thing to you right now is to get rid of your Thoracic Outlet symptoms and pain. I know. I am here to help. You want something that works fast, is safe and is effective. I have figured out a way to deliver all this with a brand new, easy to learn and super effective way to eliminate the adhesions that are causing your pain. And now I have put it all together in one program that costs about a quarter of what it would cost to have a personal appointment with me. The Thoracic Outlet Syndrome Self Care Toolkit focuses on all the areas of your neck, shoulders, chest, arms and hands that you know are a problem, as well as all those hidden spots that can cause pain to come back time and time again. You'll come away understanding your injury in a way that is totally unique and different from anything else out there. You'll know what to do and how to do it so that pain and dysfunction becomes a thing of the past. It really works! "Your TOS program helped me play the piano again! I'm a teacher and performer and had been suffering with symptoms for 5yrs with no help from the medical community because they wouldn't confirm I had it and made me doubt myself. Finally I took matters into my own hands and am 90% improved and counting. Will highly recommend your program to anyone I know with this condition and other RSI's. Thank you sooooo much! Your program is amazing!" ”I’m much better now - back at work for 10 hour days plus overtime by using Sharon Butler’s Thoracic Outlet Syndrome Self Care Toolkit! The program is logical and efficient. I have recommended her website and programs to many people at my work and elsewhere. It really can’t hurt anybody to give it a try. Just try it for your health." ” I was experiencing Thoracic Outlet Syndrome (TOS) with a lot of neck and shoulder pain and my shoulders popping out of place. By the end of the first week of Sharon Butler’s program, I was miraculously improved and back to typing 60 - 80 hours a week. And - no TOS symptoms!" ”Thank you very, very much for your TOS Toolkit. It's hard not to feel depressed when you have something like this, but seeing my daily improvement through stretching has been so encouraging. Thanks for putting my mind at ease." ”I am taking a lot of time to get through the entire program, but I can attest to the fact that it works. I was amazed at how much it helped me, especially since I was skeptical before I bought it. All I know is that your stretching and educational program has helped me where nothing else has. I use it all the time in my everyday life now and I believe it will help me for the rest of my life. It seems to be helping with whatever else might be wrong, even if it is not TOS." ”I had light muscular pain the arms, mostly from TOS, plus a lot of neck/shoulder pain. My shoulders were popping out of place too. I was in the first week of Sharon Butlers program, and I miraculously recovered in just a few days. I was back to typing 60-80 hours a week, and I wasn't experiencing any TOS problems." “Thanks to your TOS Self Care Toolkit, the pain and tightness on my right side (due to my sternoclavicular injury) is greatly reduced. I'm feeling stronger and stronger and more pain-free on my right side. I really appreciate the wealth of information you have made available to sufferers of RSI ~ you give me lots of hope!" 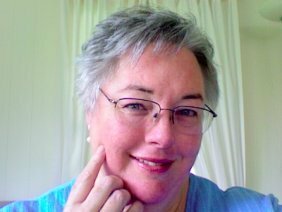 “Sharon's TOS Toolkit helped me on my road to recovery from Thoracic Outlet Syndrome which began in 1995. Since then I have recommended the program to many people. One was a heavy-duty plant mechanic who had 2 unsuccessful surgeries. He recovered after doing Sharon's exercises and is now happily an Amtrak Train mechanic. Many have been other IT professionals, who have thanked me and praised this program. Another is my brother who is an Architect. Whatever profession causes your injury, this program can help." ”Fortunately, I stumbled across Sharon Butler's site. At first, I was skeptical as there are many health sites out there bordering on quackery. Nervously, I ordered the TOS program. I immediately felt assured. The program was well laid out and informative and the first audio struck a chord. For the first time in weeks I didn't feel isolated and a ray of light had crept into my darkened tunnel. At the moment, I haven't even finished the program yet but the results are tremendous. I get the odd twinge now and again but can soon put it right and I know i am going in the right direction." What Makes The Thoracic Outlet Syndrome Self Care Toolkit So Special? This 64 page e-book contains 20 of the best, most targeted stretches for the parts of your body that are affected by Thoracic Outlet Syndrome. Each exercise is fully illustrated, with complete instructions. You will know what to do, how long to do it and when to move on to another exercise in the program. It's all spelled out for you! With over 30 years of studying repetitive strain injuries, I've built up a body of knowledge about healing and recovery that is quite uncommon... a treasure chest of simple, easy to understand, logical information that makes recovery easier. Knowing this "insider" information is like having the final piece of the puzzle - the master file on how to recover from thoracic outlet pain. 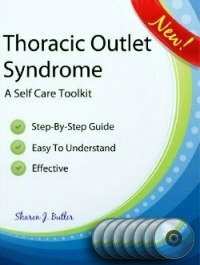 Buy a copy of the Thoracic Outlet Syndrome Self Care Toolkit. Open it, try it, test it, feel what it does for your body. Kick the tires on it for a full 60 days. If at the end of that time you are not happy with the results you have achieved, let me know and I will gladly refund your full purchase price, NO questions asked. You have nothing to lose! 64 Page Thoracic Outlet Syndrome Self Care Program E-Book, available for immediate download. I hope you enjoy great success using the Thoracic Outlet Syndrome Self Care Toolkit! P.S. Your name and email address is retained solely for the purpose of sending you notifications of improvements and upgrades of your Toolkit purchase. We never sell or share your email information with anyone.